From the producers of highly profitable horror films such as “Paranormal Activity,” “The Purge,” “Insidious,” “Sinister” and “Ouija” franchises which have grossed more than $1.4 billion worldwide comes the alarmingly horrifying sequel “Sinister 2.” After the original “Sinister” grossed over $80 million at the box office worldwide in 2012, writers Scott Derrickson and C. Robert Cargill are back again this time with Ciaran Foy who directed the second installment in the terrifying franchise. Picking up where the first film ended, “Sinister 2” follows Deputy So-and-So investigating the serial murders that his late friend Ellison Oswalt failed to solve in time. 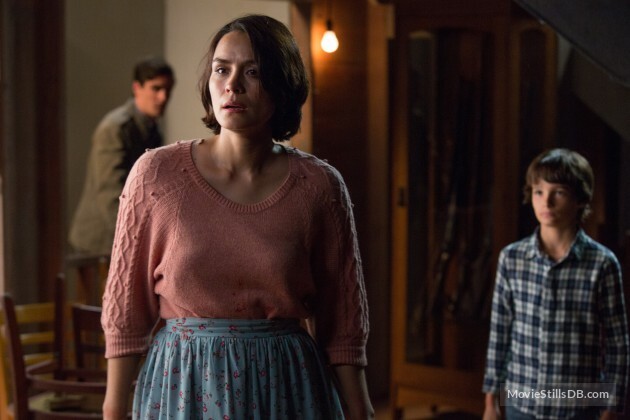 His investigation leads him to a farmhouse where he meets a new family - Courtney Collins(Shannyn Sossamon) and her twin sons Zach and Dylan (portrayed by real-life brothers Robert and Dartanian Sloan) who are on the run from their abusive husband and father, Clint. They've sought refuge in a friend's uninhabited farmhouse with a dark past. Unbeknownst to Courtney, Dylan and Zach uncover a set of home-made films and meet the Ghost Kids contained within them … continuing Bughuul's reign of terror. “So in the new movie, children play much bigger roles; their point of view is much more significant than it was in Sinister.” Sossamon elaborates, “Courtney is experiencing her own horror in a bad marriage. She’s protective of her two boys, and makes the decision to save herself and them by going on the run from Clint, the abusive husband and father. “Sinister 2” opens in cinemas nationwide on September 9 from Pioneer Films.